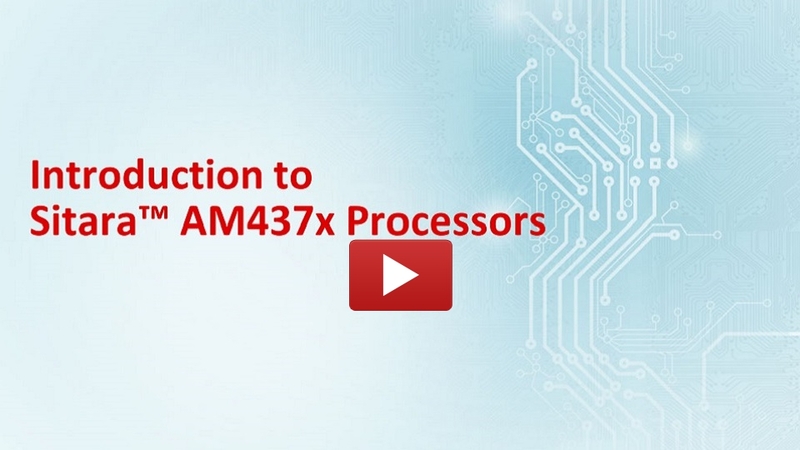 This module provides an overview of the AM437x Sitara processors from Texas Instruments. This training includes an introduction to the AM437x product family of ARM Cortex-A9 devices, including an overview of the device architecture. It highlights the key features of these devices, including graphics acceleration, industrial protocol support, and customer-programmable secure boot options. It also identifies the development tools and software support that help accelerate time to market.